The Suorin Drop Replacement Pod Cartridge delivers a sleek refillable pod element with 2mL juice capacity and a resistance rating of about 1.3ohm to 1.4ohm. 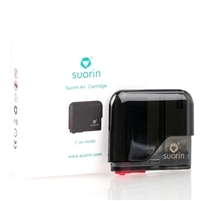 The Suorin Air Replacement Cartridge delivers a sleek fillable pod element with 2mL juice capacity and a resistance rating of 1.2ohm. 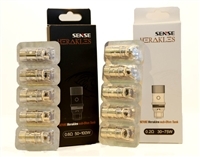 These iSub SS BVC Coils feature a vertical stainless steel coil and Japanese organic cotton for the iSub series tanks. 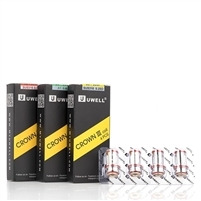 The Uwell Crown Coils comes in a variety of selections that cater to temperature control, mouth to lung, and full direct lung. 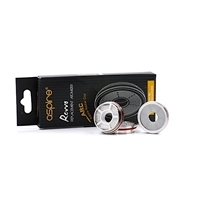 The Aspire Revvo ARC Replacement Coils are part of the ARC (Aspire Radial Coil) technology, providing a horizontal, stove-top design rated from 0.1 to 0.16ohm with a recommended mid-wattage performance. Featuring the new Revvo Boost ARC Coils. Comes in a pack of 3. 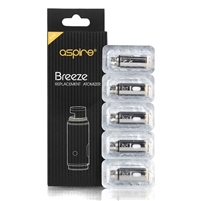 5-Pack The Aspire Breeze U-Tech Replacement Coils features the latest atomizer technology for the ultra-portable Breeze Pocket AIO Kit and the Breeze 2 Kit. The VOOPOO UFORCE Replacement Coils delivers a bottom vertical structure to ensure maximum flavor performance coupled with ample wicking ports to ensure consistency during extended use. 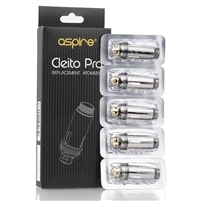 Comes in a pack of 5 coils. The Freemax Dual Vertical Coils are only compatible with the Starre Sub-Ohm Tank and utilizes kanthal wire and Japanese organic cotton. 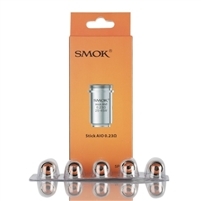 The SMOK Stick AIO Replacement Coils delivers an atomizer structure with well-balance performance of vapor and flavor production for the Stick AIO Kit. The SMOK TFV8 Baby Turbo Engines Replacement Coils are powerful cores introduced with the SMOK TFV8 Baby Beast Tank. 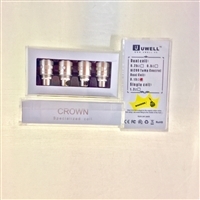 Furthermore, it is compatible with the latest TFV8 Big Baby Tank and the TFV12 Baby Prince Tank.